Copepod lipids fuel the Arctic marine ecosystem, but information on the fine-scale distribution of copepods and lipids is nonexistent. 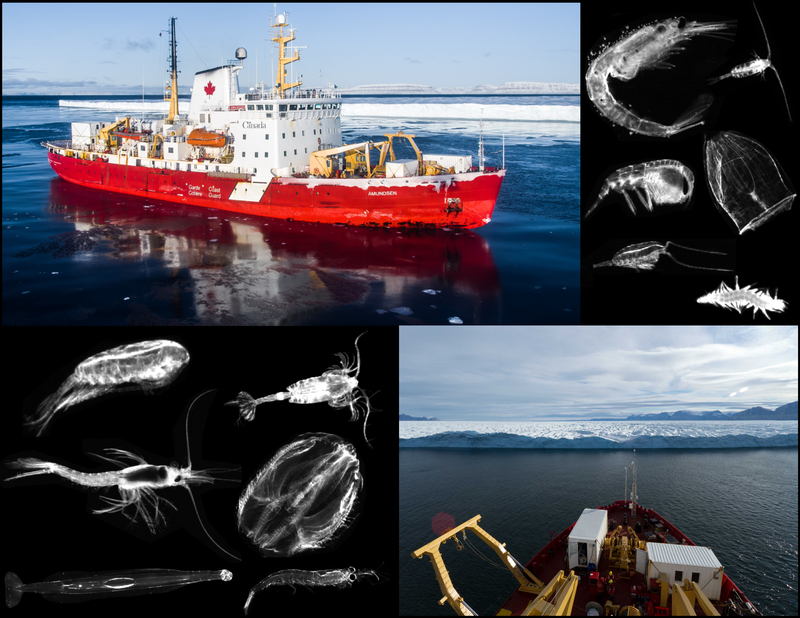 This study investigated the fine-scale (1 m) vertical distribution of the copepods Calanus hyperboreus , Calanus glacialis and Metridia longa during a Lagrangian drift in the North Water Polynya using the Lightframe On-sight Keyspecies Investigation (LOKI) imaging system. A copepod species- and stage-specific automatic identification model based on machine learning, a subcategory of artificial intelligence, was used to identify images taken by LOKI. Lipids were measured from images of copepods taken over the whole water column (1m resolution). Diel vertical migration (DVM) in all three species was detected. In C. hyperboreus and C. glacialis C4-females as well as M. longa C5-females lipid load of deep copepod individuals was significantly higher than that of shallower individuals. Vertical distribution profiles and individual lipid loads suggested that individuals with lower lipid load continued DVM, while others with high lipid load ceased migrating, remaining at depth. Calanus hyperboreus individuals seemed to migrate to diapause at lower lipid fullness (50%) than C. glacialis (60%). A bioenergetics model showed that Calanus females had enough lipids to diapause for over a year, highlighting the significant lipid overhead they use for capital breeding.